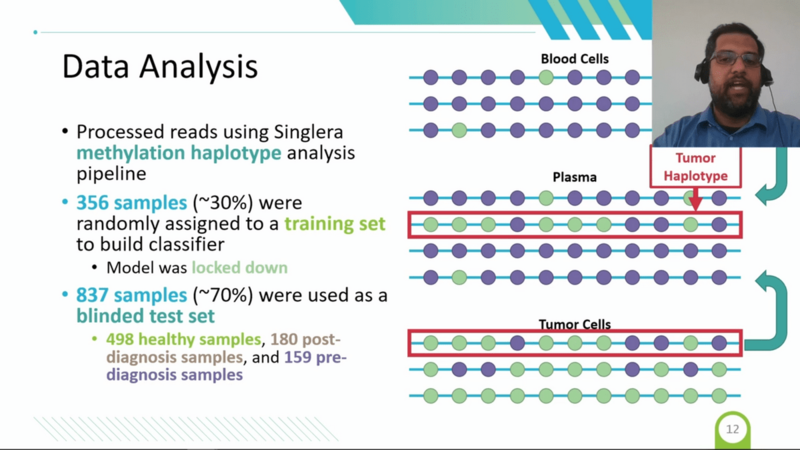 Screen capture from Dr. Gore's video presentation of the Singlera early-detection technology. A video presentation by Dr. Athurva Gore, Assoc. Director of Bioinformatics Singlera Genomics, is now available. The title of his talk is "Circulating tumor DNA methylation haplotypes in plasma can detect cancer four years prior to conventional diagnosis", and is the same presentation he gave recently at the American Society for Human Genetics (ASHG) recently held in San Diego, California. Access this video (as well as our two posters we presented) by registering here. A sales and marketing professional in the life sciences research-tools area, Dale currently is employed by Singlera Genomics as an Assoc Director of Business Development. He will help Singlera forge partnerships in using their novel methylation haplotype from cell-free DNA to examine blood-based assays for early disease diagnostics development. He also represents Singlera at tradeshows and other events. For additional biographical information, please see my LinkedIn profile here: http://www.linkedin.com/in/daleyuzuki and also find me on Twitter @DaleYuzuki.